Midwifery led prenatal care is attentive and specialized to each family and their specific needs. Visits range from 30-60 minutes and we spend a great deal of time talking about ways you can best take care of yourself and what to expect with your pregnancy. We talk about what to expect in labor, birth and the adjustment to breastfeeding and motherhood. Katie educates and guides you to make truly informed choices for your pregnancy and birth. Good prenatal care is not what happens at the midwife’s office. It is the way a pregnant woman nurtures herself and baby everyday using her own wisdom for self-care that has been enhanced by the education, support and empowerment from the midwifery care. Katie’s initial approach to promoting wellness is with natural methods and remedies, using whole and healthy food as medicine as well as plant based medicine which includes herbs, essential oils and homeopathic remedies. Prescription medications are used when needed. We address not only the physical aspects of your pregnancy, but also those things that are equally important in this major life transition for you and your family. Your emotional, spiritual and mental well being are all important factors to take into account and we take time to address the things that have an impact on you and your family’s well-being as you move through the stages of a healthy pregnancy and prepare for baby. During labor and birth Katie serves as a calm, gentle and experienced guide, patiently waiting and watching your process unfold while monitoring the well-being of you and your baby. Katie knows the spectrum of normal is vast when it comes to labor and birth. 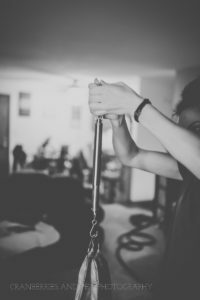 Each woman’s labor is unique and will continue safely and naturally when left undisturbed the vast majority of the time. Katie will give you support, suggestions and words of encouragement as they are needed. Midwives use a multitude of tools to promote the normal progression of labor and birth: movement, massage, different body positions, herbs, essential oils, nourishment and rest. Deep water submersion in labor can be tremendously comforting and LSM has several birth tubs available for rent to those who are interested in waterbirth. Once your baby is born he or she is not separated from you and you are encouraged to bond with your baby however feels most natural to you. Your birth team will be making sure your baby is transitioning to the world well and beginning to breast feed while seeing you safely through the last stage of birth – the delivery of your placenta. The midwife will check you for any tears and suture as necessary and we will perform a head to toe newborn exam. We will stay for several hours postpartum to ensure that all is well. When it’s time for the midwife to leave, you’ll be tucked into bed to snuggle your new baby. 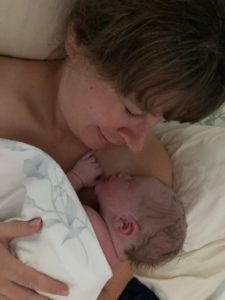 The often overlooked benefit of home birth is being home with your new baby and you can comfortably rest and don’t have to go anywhere for the first week. Newborn screenings: Metabolic screen (heel poke), hearing screen & Critical Congenital Heart Defect (CCHD) screen. Throughout the postpartum period Katie continues to monitor that breastfeeding is going well, your baby is gaining weight, Mama is recovering and resting, and your family is adjusting to this new dynamic as smoothly as possible. During these visits Katie is checking your baby and you physically. She will follow your physical recovery as well as your emotional and mental adjustment to make sure you are doing well. 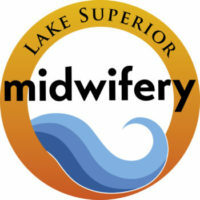 During your time of being a Lake Superior Midwifery client the midwife is on call for you 24/7. Out of hospital birth is appropriate after 37 weeks gestation, so your midwife will be on call and prepared for your birth beginning at this time. However, urgent questions and concerns can arise at any point in pregnancy or postpartum so your midwife is always available to you.